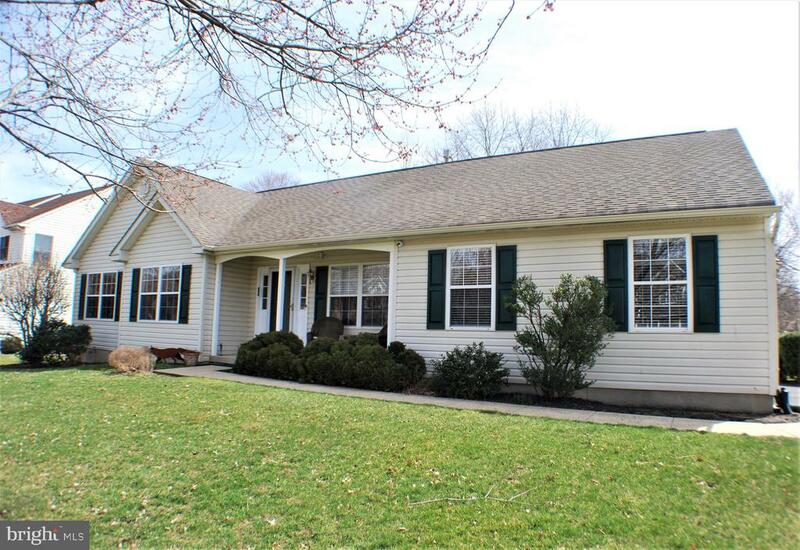 Located on one of the most beautiful roads in buckingham is this 3 bedroom, 3 full bath multi-leveled ranch style home in a picturesque wooded setting. Enjoy the updated custom kitchen with granite counter-tops, stainless steel appliances and a breakfast area with a bay window looking out over the backyard. Sun-filled rooms are found throughout this home. The living room and dining room feature wide plank cherry floors. The living room has a stone fireplace and sliding door for private viewing of nature at it's best. The window filled sunroom addition has a cathedral ceiling with random stamped and stained concrete floor. Off the foyer are the steps to the family room on lower level with another fireplace and large windows. Also find a full bath with stand alone shower and a laundry room with separate door to the backyard. Upstairs there are 3 bedrooms and 2 full baths. The master bedroom has a nicely sized walk-in closet and a large, updated master bath with cathedral ceiling, skylights, heated tile flooring and jacuzzi tub. The other two bedrooms are ample in size and share the hall bath. Looking for more space, take the stairs to the walk-up attic for storage and more. There is a huge unfinished basement for storage or other possibilities. A two car garage completes this home. This home is a special find. Located on 1. 5 scenic acres with mature landscaping and a paver patio to enjoy this quiet and serene natural setting. 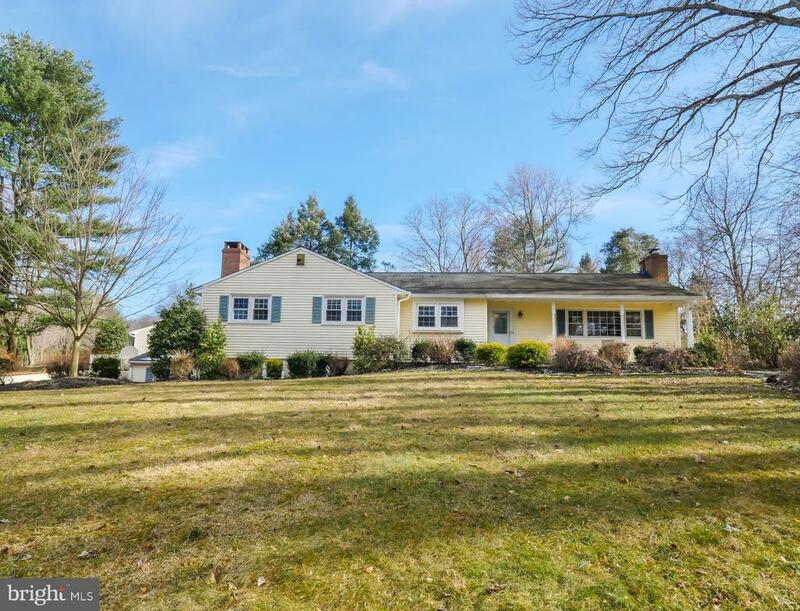 This home is also located in the award winning central bucks school district and just minutes to shopping, restaurants and commuter routes but with the feel of living far off the beaten path. Back on the market this beautiful 4 bedroom 2. 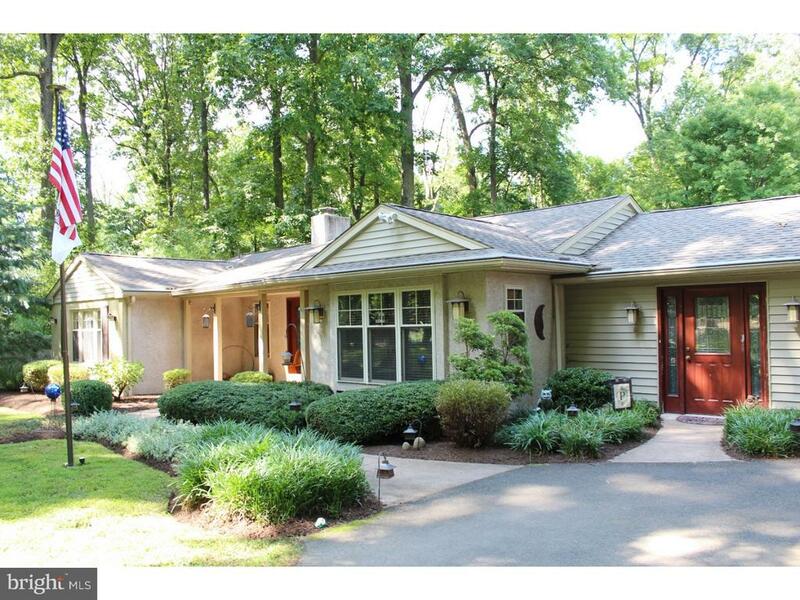 5 bath ranch house in central bucks school district is ready for you to call home! Sitting on a private wooded lot this home will grab you from the start with it's charm and character. You can't help but fall in love with the exposed beam ceilings and hardwood flooring that leads you from the dining room, which offers a beautiful fireplace accented with mercer tiles and built-in corner cabinet, into the spacious living room that is loaded with windows and is flooded with natural light. Off of the living room, the master bedroom suite sits down a private hallway and continues with these charming attributes but also adds private access to the secluded back yard. The master bath has a spa like feel with it's pebble floored, glass door shower, high ceilings and tile floors. This home doesn't stop there, the large eat-in kitchen showcases ample maple cabinets, a large center island and coffee bar. The family room is the perfect place to relax with vaulted ceilings, a bank of windows and sliding door that will lead you out onto the deck ideal for your morning coffee or to host your next bbq. And if all that wasn't enough let's not forget the office complete with hardwood flooring, as well as 3 additional generously sized bedrooms, another full bath with double vanity and powder room. The back yard is an oasis in a private wooded sitting complete with koi pond, quaint garden, and 12*18 storage shed. This home has been upgraded to be energy efficient, including windows, doors and even led lighting. Enjoy all the amenities doylestown has to offer coupled with an award winning school system all while living minutes from major road ways. This is a must see! 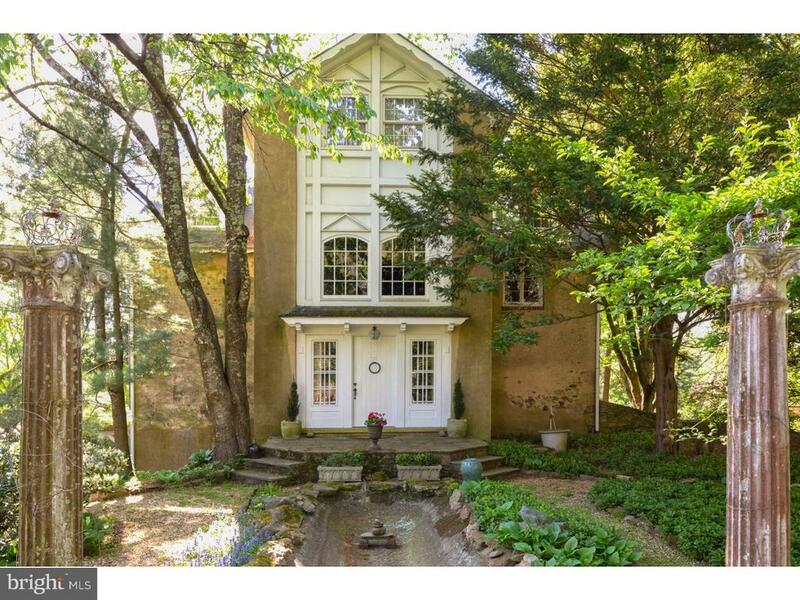 Beautifully maintained, 81 oak drive in doylestown is ready to impress. This ranch boasts four bedrooms, two and a half baths, a stunning outdoor living area, amazing natural light throughout the home and an enchanting family room with bar area. 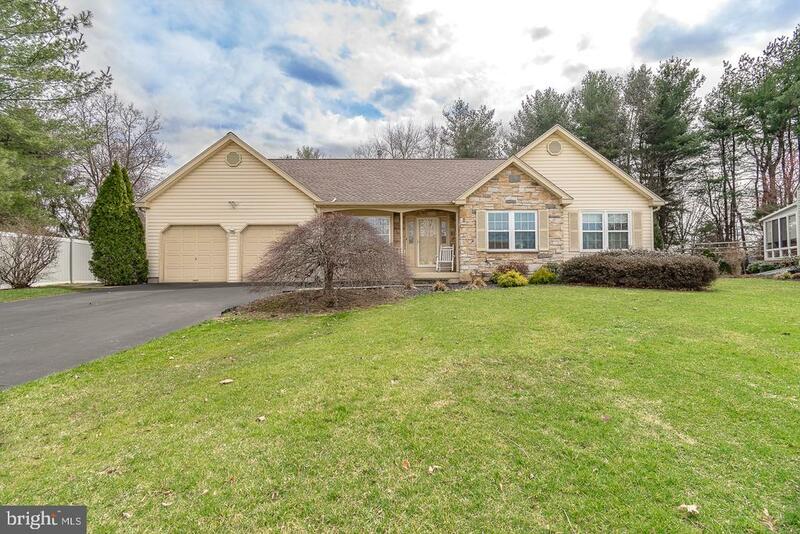 This home is located just minutes from the doylestown country club, central park with its kids castle and all that downtown doylestown borough has to offer. It is also located within the nationally ranked central bucks school district. The main entry brings you inside through a spacious foyer that unfolds to the formal living room with gleaming hardwood floors and a stone fireplace that is framed with built-in shelving and accent lighting. Originally the dining room, this office proves to be a versatile space with a view. The kitchen enjoys an open view to the oversized sunroom which hosts a lounging area for relaxation and a dining area that looks out onto the custom patio and pond. The freestanding island includes a built-in media center and long stretches of counter space perfect for holiday and game day buffets. There is an abundance of maple cabinetry, a luminous stone backsplash and under cabinet lighting. Double doors open to the owner's suite. Ready to pamper, this vast bedroom has a large bank of windows to enjoy the backyard views and volume ceiling for added spaciousness. Also filling with natural light, the master bath features a jetted tub, dual sinks, make-up vanity and a step-in shower with obscured glass. You can also access the massive, customized walk-in closet here. Three additional bedrooms are all generously sized, have double closets with by-pass doors, great light and share the hall bath featuring a double vanity. Downstairs offers a relaxed, recreational space with full wall fireplace, exposed beam ceiling, wide, paneled accent wall, and a handsome dry bar. You have access to this level from the driveway and garage. It also has a gym, bonus room and bright open laundry with long counter. Plus, ample storage space. The sunken patio has a paver walkway from the driveway, a permanent stacked fire pit and flower beds to bring in seasonal colors. The koi pond with subtle waterfall adds to the ambiance this private backyard provides. In addition this home has a new roof and new septic system for years of maintenance free living!. Come see for yourself what a wonderful lifestyle is awaiting you! Open house saturday 4/13 from 1-3. 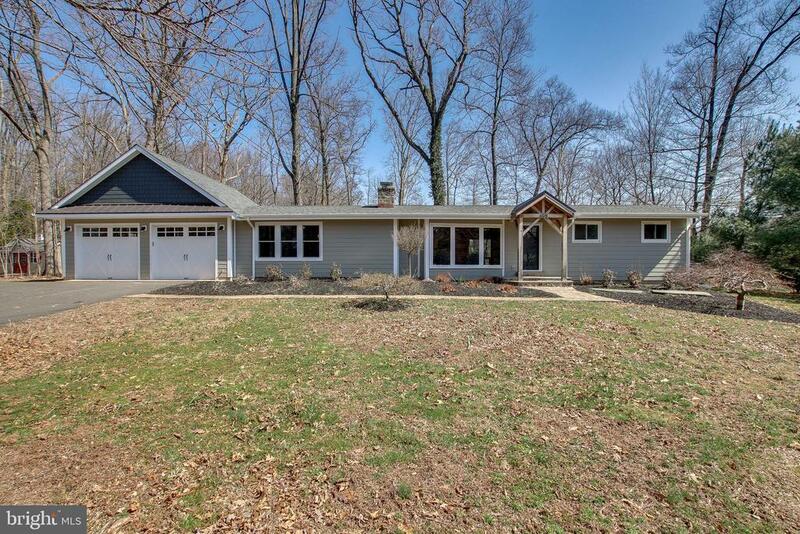 Welcome home to your fully rehabbed rancher, just minutes from doylestown borough. This beautiful 3 bed, 2 full bath home has been completely renovated from top to bottom. Local builders and owners spared no expense, and it is for all intents and purposes a brand new home. Here are just a few of the many upgrades: all new pex plumbing, new high efficiency amana electric heat pump, new central air compressor, new owens corning roof, a brand new low coco mound septic system, new 3/4 inch cherry hardwood, 2 car garage complete with wireless garage door openers, 200 amp electric service, james hardie siding, brazilian tigerwood deck, ep henry walkways in the front and rear, regency wood fire insert, white shaker cabinetry along with granite countertops, energy star stainless steel appliances, pocket and barn sliding doors, brand new windows, sparkling new bathrooms that include water sense toilets and faucets, new cork flooring and to top it all off is a beautiful amish-built portico, magnificently reclaimed from one of the oak trees that was removed from the back yard. This wonderful ranch home has nearly1,600 square feet of living space with loads of opportunity in the basement, the much desired open concept layout, over an acre of land, and is set well back off of road with plenty of privacy. All this within the award winning central bucks school district. The basement has been winterized with two new sump pumps. Just about the entire house is under manufactured warranty. Simply unload your boxes and bags, absolutely nothing to do here but move right in ! 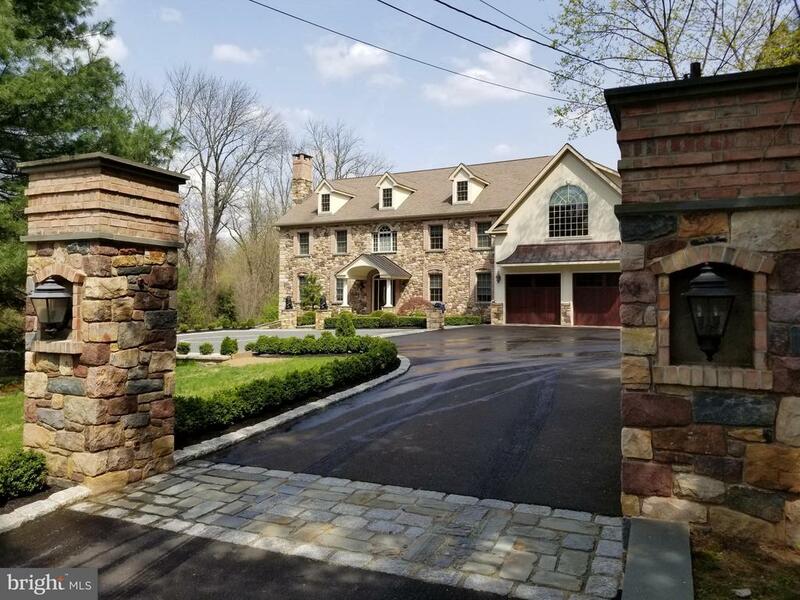 Welcome to 102 steeplechase drive in the gorgeous community of doylestown hunt! One floor living is at its finest in this well-appointed, meticulous ranch home! An inviting front porch leads the way into a spacious living room with a cathedral ceiling and adjoining dining room! You will love the fantastic upgraded kitchen with granite counters and center island, refaced cabinetry, tile backsplash, hardwood flooring, and stainless steel appliances (new dishwasher)! The kitchen adjoins with the spacious family room featuring a cozy stone gas fireplace, hardwood flooring and a dramatic vaulted ceiling with skylights! A bright florida room was added to the home a few years ago and provides a great space to relax with family & friends! The master bedroom features a cathedral ceiling, large walk-in closet and a renovated private bath with a tiled shower and upgraded vanity! There are two additional bedrooms - one with two closets - and a second full hall bath! Completing this fine home is a spacious basement which has a large finished area and ample storage and extra closet space as well as a workshop area! The exterior of the home is highlighted by maintenance-free stone and vinyl siding! Professional landscaping surrounds the well-kept front and fully fenced rear yard! Two-car attached garage! Newer hvac and hot water heater (2 yrs. )! Newer roof (5 yrs. )! Enjoy a pleasant short walk into historic doylestown borough and take in all the fine shops and restaurants it has to offer! Award-winning central bucks schools! This beauty will not last long! One floor living at it's finest. 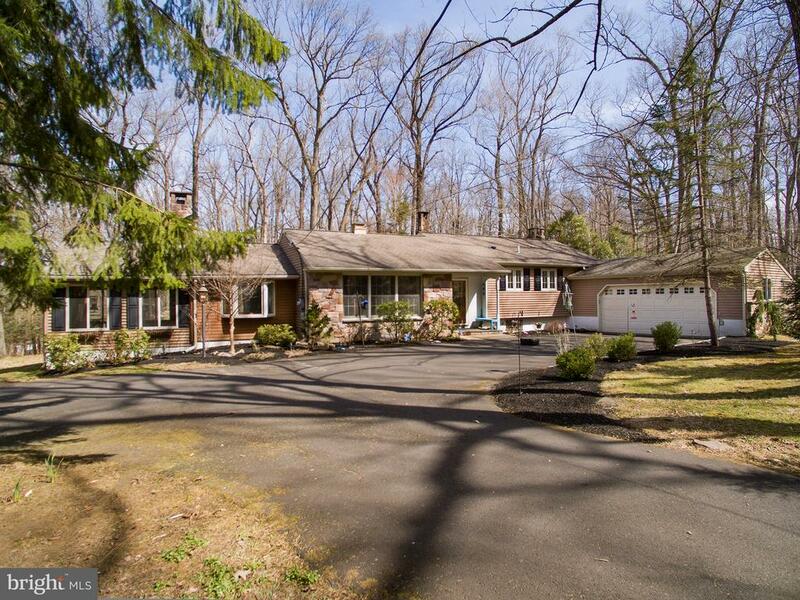 Fantastic rancher situated on a well maintained corner lot in the desirable doylestown hunt development. Walk or ride your bike to the center of town and enjoy the great restaurants,shopping and museums. The well thought out floor plan is great for everyday living and entertaining your guests. It features a formal living room that leads to the formal dining room. Both the living room and dining room features sparkling hardwood floors. The formal dining room has custom built in shelves that frame the windows looking out to the rear yard. You'll love the upgraded kitchen which features granite counters,convenient island bar,ample cabinets,large pantry,breakfast area and a warm attached family room that boasts vaulted ceilings,lots of windows and shaded skylights to provide warm natural lighting. There are also double pane sliding glass doors that lead to a private rear patio which is a perfect place to barbecue or have a beverage. The home features a large master bedroom suite with a walk in closet and full bath. There are two additional bedrooms both of adequate size. There is a full hall bathroom with new ceramic tile floors. The home features an large over sized two car side entrance garage with pull down stairs to attic storage. The full basement is unfinished and is a perfect place for your hobbies and storage recent major improvements total over $20,000. 00 and include tile back splash in the kitchen,tile floors in both bathrooms,fresh interior painting,custom blinds throughout and a custom shed for storing your lawn tools and mower. This home has been thoughtfully designed and lovingly maintained. A fabulous borough location! 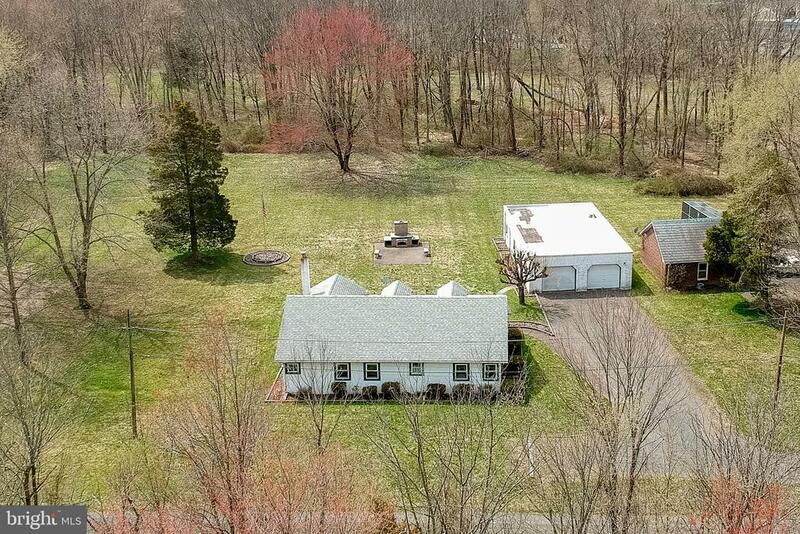 This modest one story rancher is within walking distance to all of doylestown's restaurants and boutiques. 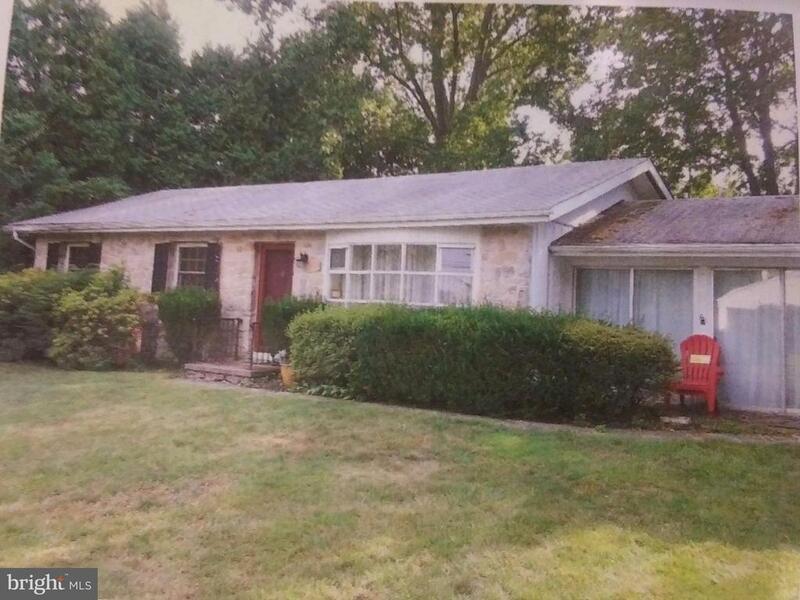 Three bedrooms, two full baths, and an overzied attached two car garage. Additional pictures and post sign to be expected soon!